"Bebab Records" is Barbara's own label that she founded at the age of 21. Many albums on this label have been released since then. They are listed on the CD's & more page. 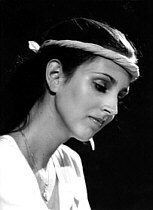 Barbara Dennerlein founded her own label "Bebab Records" in 1985 at the young age of twenty-one. The name "Bebab" is a contraction of "Barbara" and "Bebop", the latter because she always loved playing Bebop tunes and one of her heroes is the unforgettable Charlie Parker. At that time Barbara was constantly touring with her quintet (with Hammond organ, alto and tenor saxophone, trombone and drums) for which she composed and arranged most of the repertory. As Barbara explains, "I always had my own ideas about music and I refused to make any compromises in order to please people from record companies who may not understand my musical intention. All I wanted was to entertain the audience with the music I was dedicated to. There has always been only one possible way for me: To be honest with myself and the audience." From the very beginning of her career Barbara knew exactly where she wanted to go with her playing style and how to achieve this goal with her talent. After her first two albums (produced in co-operation with a German organ company), Barbara's greatest wish was to release an album with her Barbara Dennerlein Quintet. She contacted several distributors and found enough interest to be able to finance her own first production. Bebab Records was born! The album of the same name, "Bebab" - a live recording at the Allotria Jazzclub in Munich - was extremely successful and was honored with the "Preis der deutschen Schallplattenkritik" (German Records Critics Award). Following this first Bebab success, an album was recorded on the Koala label with Barbara on organ together with Peter Herbolzheimer (Germany's most famous band leader) and his Rhythm Combination And Brass Orchestra. This too was a huge success and received another "Preis der deutschen Schallplattenkritik". Enja jazz label. She recorded tree albums with mostly American top musicians in her studio bands. Besides this, Barbara continued to record for her own label Bebab Records in different line-ups. At Vienna's legendary "Jazzland" Club she recorded a trio live concert with Oscar Klein and Charlie Antolini. Another one - the first album she released on CD only - was her solo album "Solo". It is an excellent example of Barbara's artistic honesty. As Barbara says, "For those of my fans who really love the Hammond organ I am recommending my CD "Solo". With this CD you can hear pure Hammond organ sound in a solo concert recorded without any overdubs or studio tricks. I just sat down and played in front of a great audience simply with my modified Hammond organ accompanied by my footpedal bass." The diversity of Barbara's Oeuvre up to then brought Barbara raising attention not only from an increasing number of international fans, but also from the prestigious American Verve/Universal label. This led to collaboration over four years, and three CD's were released under the Verve label. On these, Barbara composed, arranged and recorded her music with her dream team - an elite team of 8 - 12 American jazz musicians, colleagues from the Enja sessions like Mitch Watkins or Ray Anderson as well as other top musicians like Don Alias, Roy Hargrove or Dennis Chambers. But only the own label reveals freedom to work independently on both the conceptual and creative level. 2001, Barbara Dennerlein contrasted the voluminous Verve band settings with her duo album release "Love Letters". And she started a new musical experiment that would not have been possible without Bebab Records: Barbara developed a self-contained jazz format on pipe organs. For the musician who confesses to love challenges this was a double challenge: on one hand, the challenge to master the huge instruments that are quite individual due to the specific constructions, on the other hand, the challenge to measure up to these instruments in the compositional work. Barbara's Spiritual Movements are documented on three CD's that have been released since 2002. The organist and composer realized another spectacular project together with a symphonic orchestra, the State Philharmonic Orchestra of Rhineland-Palatinate. Dennerlein's new arranged compositions are themes of a thrilling dialogue between the Hammond organ and the symphonic ensemble. But Barbara also continues recordings in common line-ups with Hammond organ. Still adventurous but always with a reliable sense of style, she continues in musical variety that seems to be almost inexhaustible. 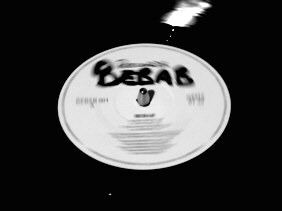 Twenty five years later, Bebab Records continues to allow Barbara the independence to keep to her guiding principle: "To be honest with myself and the audience".